The Social Market Foundation (SMF) think-tank has published a study which claims that of the Government's pledge for 3 million new homes in Britain by 2020 "almost 2 million homes would need to be built on non-previously developed land". According to the BBC News, the SMF claim that 'the green belt, which was planned to prevent urban sprawl, contains ex-industrial sites and scrubland and "was not as green as people believe"'. As such, the SMF 'suggests there may be a case for reconsidering the future of the green belt which often protects "neither wildlife nor areas of outstanding beauty". The Green Belt is "not as green as people believe"? What utter nonsense! As has been well recognised for many years, Green Belt of all kinds in many different landscapes and both rural and urban areas serves an important function for wildlife and for people. Green Belt also plays a crucial role in ensuring the sustainability of our communities. Yes, Green Belt areas DO also include areas of the country which are not designated as being of Outstanding Natural Beauty (ONB) but this does not mean they are NOT beautiful in their own distinctive way, nor does it mean that they are therefore worthless. The much-loved Green Belt area in Penwortham, South Ribble - just a few minutes walk from Penwortham Town Centre and Preston City Centre. 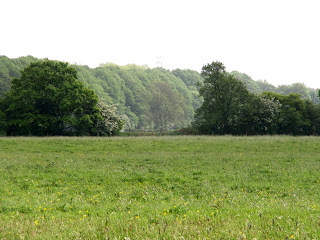 There are meadows and woodlands, allotments and sports fields, in a precious stretch of Green Belt which links the urban areas of South Ribble and Preston - providing vital and ACCESSIBLE quality open green spaces and fresh air and sheer beauty to a large number of local people from diverse backgrounds and communities. 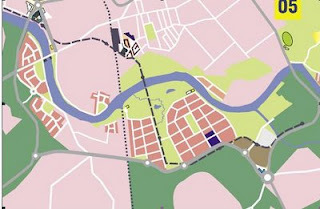 A close-up of Preston City Council's Composite Masterplan, showing the new developments being muted in pink - all over our meadows, woodlands, allotments and sports fields. The Riverworks proposals include a large urban development on the core area of Green Belt - leaving a small pocket which would be formalised into a park opposite Preston's Avenham & Miller Parks. As local people are also aware, this area of Green Belt is also operational floodplain, and as such, also protects our communities from flooding - taking all that rainfall to which we are prone safely down to the sea! 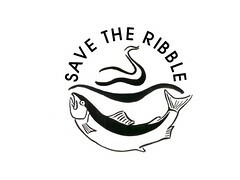 As such, we suffer from flooding only very rarely, and despite this summer's unprecedented levels of rainfall, we have been fortunate in only having relatively minor local floods which the River Ribble has quickly drained. 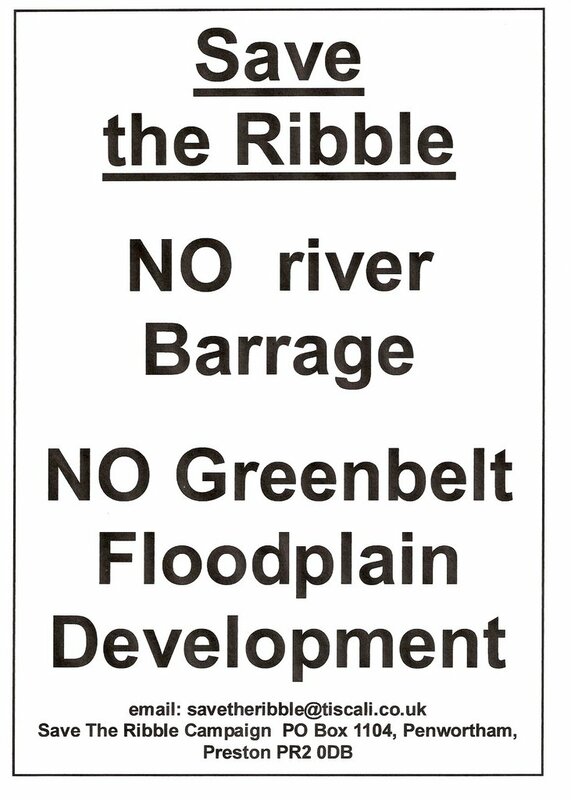 As all of this Green Belt is also operational floodplain - which the Environment Agency strongly advise should NOT be developed - this area is clearly inappropriate for development even without considering its huge value to the biodiversity of the River Ribble corridor and to the quality of life of local people! As Richard Bate from planning consultants Green Balance recognises, the Green Belt serves 'a number of crucial purposes' and "Simply letting the market rip in areas where it would like to go - very often in green belt areas - won't necessarily put development in the places that will do the most good for everybody in town and country alike". The Government needs to back up this statement - and therefore their own policies regarding development, biodiversity, and the health, well-being and quality of life of British citizens by ACTING TO STRENGTHEN THE PROTECTION OF GREEN BELT AREAS NOW. The UK Government has already pledged itself to following the principles of sustainable development - which means ensuring that our development does NOT have adverse impacts on the future environmental as well as economic sustainability of our environment and our communities - it does NOT mean ensuring a sustained rate of economic development. This means that developers and planners need to start being more imaginative in terms of how and where new developments take place - continuing to chip away at our valuable green spaces is not the answer. Affordable housing needs to REMAIN affordable; ALL citizens should have free and easy access to quality open green spaces, including woodlands and meadows and rivers, allotments, sports pitches, and clean fresh air and the sounds and sights of birds and insects and trees and flowers - and freely-flowing Rivers! Green Belt areas also contribute a central role in the UK's Biodiversity Action Plan Habitat & Species targets. "promoting more sustainable development - by ensuring that open space, sports and recreational facilities (particularly in urban areas) are easily accessible by walking and cycling." Accessible green spaces are of enormous benefit to the health and well-being of our communities, promoting "social inclusion and community cohesion" (PPG 17) and it is vitally important that people who live in cities also have easy access to these fantastic facilities. 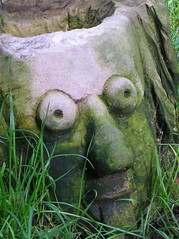 By allowing the Green Spaces already under such pressure between and surrounding our urban developments, towns and cities to be developed further can only be detrimental to local communities, our wildlife and environment and biodiversity on a local and national scale, and on our ability to genuinely attain sustainable development. Green Belt needs increased protection NOW - particularly those areas close to and within existing urban areas. As it is, Green Belt is already being constantly chipped away slice by slice - what the Campaign to Protect Rural England have termed 'Death by a Thousand Cuts' - and the Government needs to ACT NOW to INCREASE the protection of our existing Green Belt areas, already under considerable threat, if we are to conform to any sense of sustainable development and ensure our communities and our environment can sustain a decent quality of life for ourselves and for future generations. Just a couple of years ago in 2005 The Guardian reported that 84% of people in England believe the Green Belt should continue to be protected - a figure which more local issues have echoed for Ribblesiders, not least the resulats in the recent local elections in Preston and South Ribble showing majority support for Councillors of all political persuasions who made their opposition to developing on local Green Belt and floodplains and barraging our beautiful river abundantly clear - concerns echoed by the overwhelming majority of people in South Ribble who opposed the recent proposed merger with Preston City, due in no small part to many South Ribble residents' concerns regarding Preston's proposals for developing on the Green Belt in South Ribble. 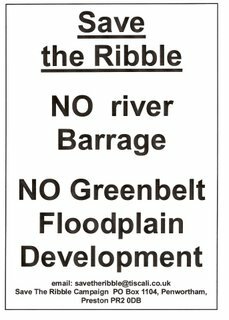 You can read more about the Riverworks threat to our Green Belt and River Ribble here. Click here for the Campaign to Protect Rural England. Great photography on your site. You are in a tough fight but it is worth it.